Volatile markets can trigger investors to make some troublesome moves, such as panic selling or euphoric buying – and it’s the financial advisor’s role to try to manage those behaviours before they wreak havoc on a client’s portfolio. 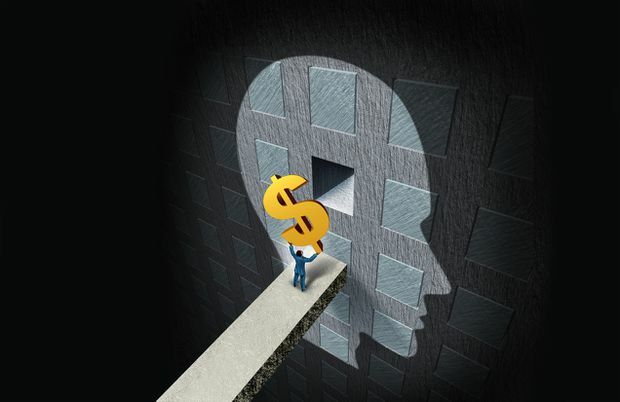 Most advisors aren’t trained psychologists, but may need to think like one by recognizing the cognitive biases that can potentially fuel destructive investor behaviour. It’s part of the growing field of behavioural economics, which is the study of how economic decisions are made based on psychological, emotional, cultural and other social factors. Advisors should start by recognizing the behaviours as human nature, says Lisa Kramer, professor of finance with both the Rotman School of Management and the department of management at the University of Toronto. Here are some common biases investors have — and how advisors can help clients avoid the potential pitfalls. Herd mentality, or making decisions based on the actions of others, is a common bias in investing and life in general. An example is investors who rush into hot stocks or sectors, alongside others, without considering how potential losses could impact their portfolios in the short and long term. Consider investors who piled money into bitcoin months before it reached a record price of US$19,783 in December 2017. The cryptocurrency now trades at around US$5,000. Otherwise, Ms. Kramer recommends advisors remind clients about the history of hot sectors or stocks in which investors experienced major losses. “Diversification is the immunization against this type of behaviour,” she says. Herd mentality also took place in the last quarter of 2018, when many investors sold off their equities when the markets dropped. Although legendary investor Warren Buffett advises investors to “be fearful when others are greedy and greedy when others are fearful,” Ms. Nicola says advisors are more likely to recommend clients do nothing when markets fall – depending on their risk tolerance. Investors can sometimes make knee-jerk decisions in their portfolios based on investing stories they hear from family, friends and colleagues. An example is anecdotes about investors who went fully into cash before the 2008-09 financial crisis and avoided millions of dollars in market losses – in the short term, at least. Some investors are using those stories as an excuse to increase the cash in their portfolios today amid worries about another recession, even if it means derailing their long-term financial plans. Her advice to advisors? “You need to tell equally compelling stories for the other side of the argument.” For example, the investors who went into cash before the global financial crisis may have missed out on a chunk of the bull market that took place during the last decade. Prospect theory is an unconscious bias that makes humans perceive loss harder than they would celebrate an equal gain, says Ms. Nicola. As an example, investors with this trait would find losing $1,000 on a stock more painful than the elation received if the stock had gained $1,000. Prospect theory is mitigated by “talking your clients off the ledge” and stopping them from going into cash, says Ms. Nicola. Recency bias is a focus on recent events instead of historical ones when making investment decisions. This behaviour is a potential trap that millennials or other newer investors may fall into. Ms. Nicola notes these investors have not yet experienced a downturn and may find themselves questioning their risk profile due to the bad final quarter of 2018. Recency bias is mitigated by reviewing the risk profile, she says. Advisors can demonstrate their value to clients by helping them recognize these biases. Still, you should be approaching the conversation with caution. Advisors also need to be conscious of their own potential biases that can creep into their investing decisions. An example is confusing the familiar with the safe, such as investing in a stock or a fund because they know it well and have held it for years – even after its risk profile has changed.